Zero Image camera, the handmade pinhole camera with its antique design, is an objet d'art ideal for private collections, and makes a perfect gift to celebrate the new millennium. Our camera's revolutionary design helps you take pictures with special effects, and connects you to the boundless creative and artistic world of photography. Our cameras range from 35mm format to 4x5 format, in order to satisfy our customers differing requirements. All our cameras are made of selected high-quality teak wood. More than 15 layers of coating are applied by hand to each camera, to insure maximum protection of the wood. 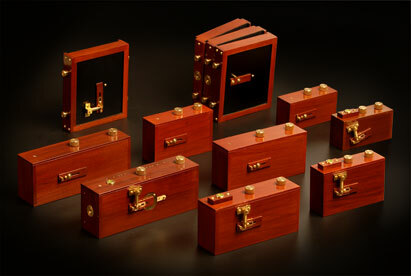 The metal parts are hand-turned solid brass with a coating applied to prevent them from oxidizing. The mechanism and the structure of the camera make it work like an ordinary camera, but it is capable of taking extraordinary pictures! We use 0.001" brass shim to make the pinhole conform to a more accurate film stop number and create sharper images. All the pinholes and zone plates are installed by our camera designer/president Mr. Zernike Au. Every camera is checked and tested by him to ensure the highest quality. In the past ten years, we have shipped our cameras to nearly every corner of the world, including the USA, Canada, France, Germany, the UK, Spain, Italy, Netherlands, Belgium, Switzerland, Norway, New Zealand, Finland, Greece, South Korea, South Africa, Japan, Taiwan, Singapore, Russia, Thailand, the Philippines, Macau, Australia, Austria, Argentina, Hungary, Poland, Portugal, China and we have received very positive feedback from our customers. We will continue to develop additional specially designed pinhole cameras, with more coming soon. 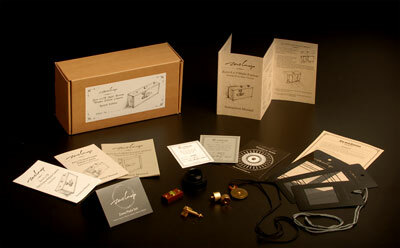 Enjoy Pinhole Photography, and don't neglect to add one of our special cameras to your collection. All web content copyrighted ©2005-2014 Zero image Co. This website, and its component parts, are the property of the Zero Image Co., and are protected by the copyright laws of Hong Kong and under international law. This website, and its images or designs, may not be copied, duplicated, stored or otherwise reproduced, in whole or in part, without the express written consent of the Zero Image Company. Christmas and New Year is coming, if you want to get a special gift for yourself or your friends or your family, order it earlier so as to avoid serious delay. We are proud to anounce that Tao's Photography are now our dealers in the France. We are now on Facebook, a bit late but not too late! Please find us and like us. Pinhole Contest organized by Jeffrey Milnes. Call fo Entries for 2014. We haven't adjust our price for many years. Unfortunately both the material cost and production cost raise drastically. We are now woking on our new price and if the order you submit still show the old price, congratulations, we will accept it. We will have our Lunar New Year Holidays from 29th Jan. to 5 Feb. We may not able to ship the order during the holidays but we accept your orders as usual. 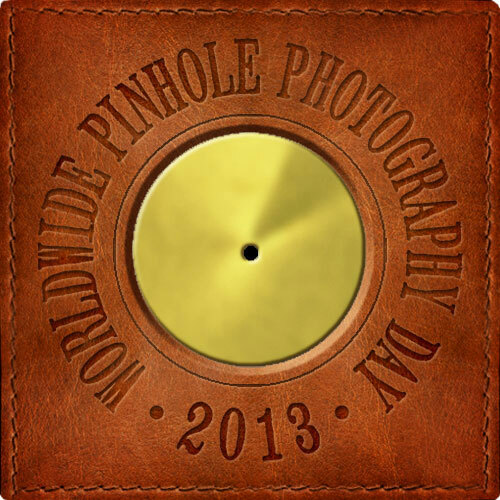 In order to promote pinhole photography, we decided to offer a 20% to teachers and students. Further discount for quantity orders. An exhibition of twelve images from his work will be shown at the Huw Davies Gallery, Manuka Arts Centre in Canberra in January 2014. Good News! CCnow was bought by a company and they can continue to provide their service. Customers can enjoy shopping by CCnow again. Special thanks to my friend Windy Tam who draw this beautiful Christmas card for sharing. She believes that the end of the world is not coming. A beautiful life is to love this beautiful world more and love your family or your love more. CCnow is planing to retire at the end of 2012. We will have only Paypal for all international credit card payment from November. If you have CCnow account and have money in the account, remember to get back all the money before they gone. Program Title: "Journeys in Japan". If you decided to choose our cameras as Christmas gift, order your Zero camera earlier so as to make sure you or your family or your friends can get this speical Christmas gift before Chritmas. Michael S Feather has been invited by Epson Imaging to display his pinhole work at the Epsite Epson Gallery in Shinjuku, Tokyo. All Parcel to the United States will be delay!!!! Order Your Camera Earlier So You Can Get It Before Christmas! As Christmas is coming, the shipping and custom may need more time to handle the parcels, and this may cause delay in delivery. If you want to get your camera before Christmas, please place your order earlier. We have all the model on stocks and ready to ship. Three English photographers, Rob Bridson, Graham Whitwham, Tom Whitehead, spent a year at one of England's most famous old houses taking photographs with their pinhole cameras. An exhibition of their photographs is at Levens Hall, Cumbria, UK until October 2010. Pinhole Photography Magazine a publication based entirely on photography without a lens. Founded by a group of photographers and professionals, Pinhole Photography Magazine covers aspects of lens-less photography and emphasizes artistic styles and affect, technique and people behind the camera. Important News: New Paypal setting!!! Or you can try using CCnow for the transaction. JPPS exhibition 2009 is open in Tokyo. Yasuko Oki's second photo exhibition, "Looking into a glass".. I'll show the images of the inside of glasses of juice, water, tea, etc. Some of photos are abstract, and some photos show the distorted view through a glass. Those photos were taken with Zero 2000. We are proud to anounce that we have Cameron Levett as our authorized dealer in Australia. Australian customers can order our cameras directly from them. Sorry our Copal shutter adaptor for pinhole and zone plate already sold out!!! Three English photographers spent a year with their pinhole cameras recording a famous 500 year old house and gardens. An exhibition of their photographs is at Levens Hall Cumbria from April 5th to October 8th 2009. Support your local business by ordering the camera from dealer of your countries. Sixteen black/white pinhole photograph prints, all created from photographs taken with the Zero Image 2000 and Zero Image 4x5 cameras, will be on display and for sale at the gallery. There are three receptions, at which free food/drink will be served, as well as regular gallery hours outside of the receptions. Mr. Scott will be present for at least all three receptions. He invite anyone and everyone to attend. The photos are made with Zero 612 and they are a very very big size!! 1 meter X 3 meters color. A fine art monograph of black & white pinhole landscape photographs (entitled ‘Lensless Landscapes' ) by professional photographer, Steve Gosling, is due to be published in November 2008. ITALINA CUSTOMERS PLEASE REMEMBER TO SEND US YOUR TELEPHONE NUMBER OTHERWISE WE CANNOT SHIP YOUR ITEMS.!!! We are so sorry to anounce that we have to adjust the price as everything rise the price crazily and the post office rise the price twice this year!!! Polaroid film will no longer available!!! It will become a "history"!!! is now available. All our Zero 4x5 camera will comes with the view finder. Don't miss it. Starting from 29th May to 3rd June. EDWARD LEVINSON OF JAPAN WAS AWARDED FIRST PRIZE IN PX3 COMPETITION. Viewfinder for our Zero 135 is now available. All our Zero 135 camera will comes with the view finder. Don't miss it.